Enjoy your choice of three essential oil blends as a pack. Pop your blend of choice in an oil burner, use it added to our shower gel, body butter or massage oil, add a few drops to linens to refresh, and so much more! 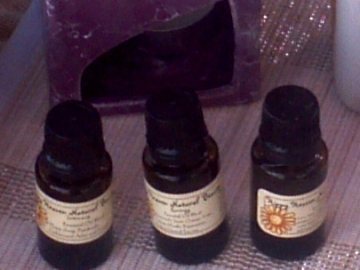 Heaven Signature Blend - Cedarwood atlas, sweet marjoram, geranium, frankincense, lime, lavender, sandalwood and more. A woody, light scent with mild earthy, citrus and floral undertones. Perfect for everyday, a clear mind and relaxation.